The Autumn equinox has just passed and the vegetable garden is doing well despite the prolonged dry spell. We have now had a little rain, but the dams are still very low or empty. 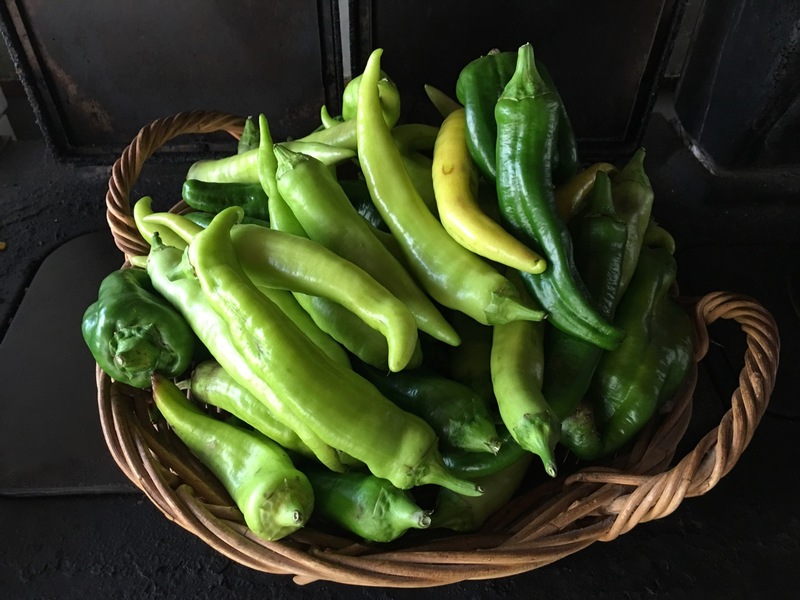 There are still some summer crops lingering on even though the night-time temperatures are falling, some of the days can still be quite hot. We pulled out a lot of spent summer plants and made room for the winter season plants. 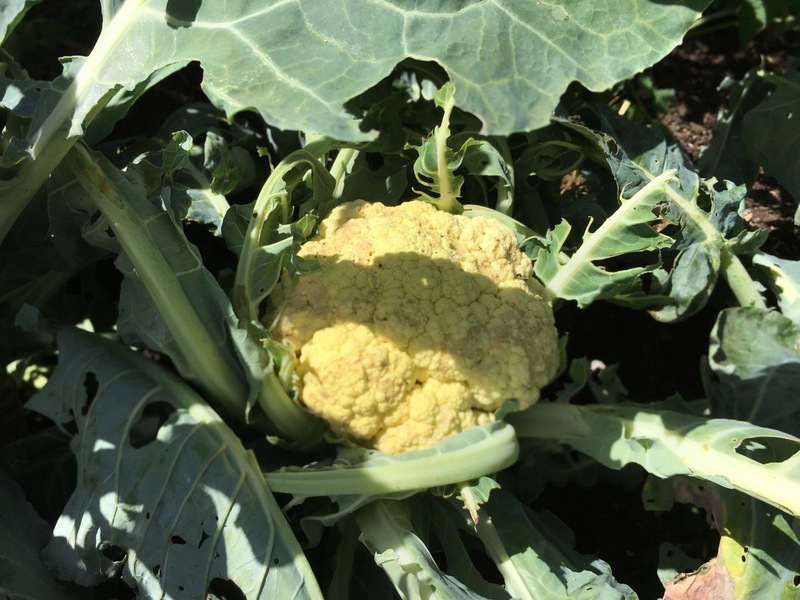 We have already harvested the first cauliflowers and broccoli. We still have some late lingering tomatoes and the last planting of corn to go. But the capsicums, aubergines and chilis are thriving. 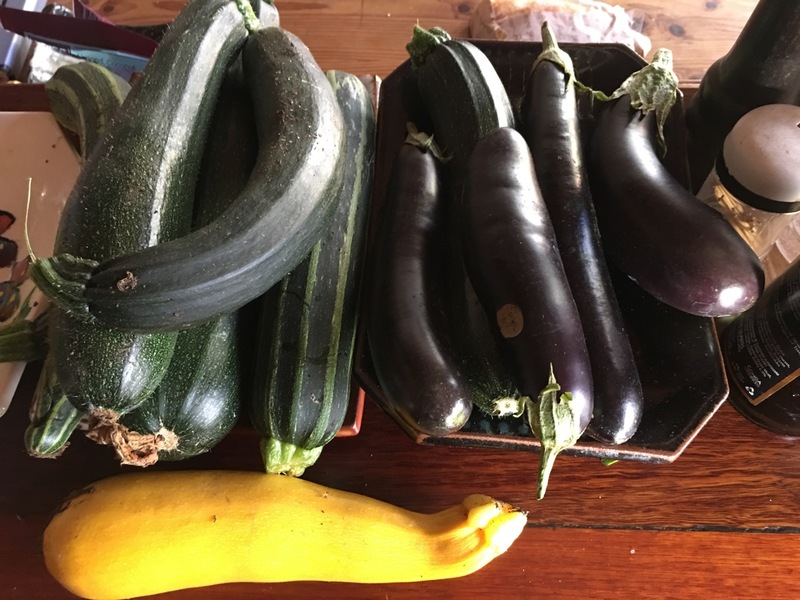 I managed to get some late zucchini seeds in after Xmas and they have been producing modest numbers of fruit, so ratatouille and all its variations is still on the menu. 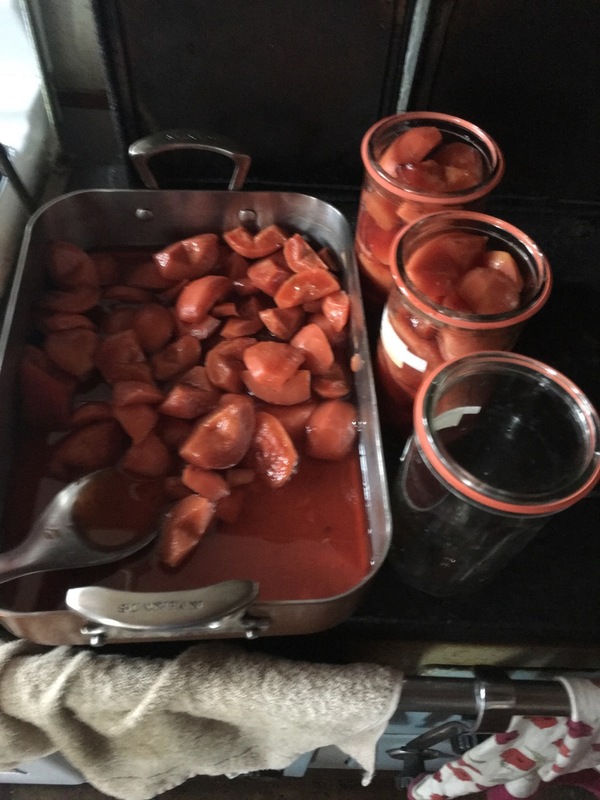 There is even enough for me to make a couple of batches of passata pasta sauce. I use some of the last remaining brown onions from our Xmas harvest and a few small knobs of our garlic, lightly browned in good olive oil. 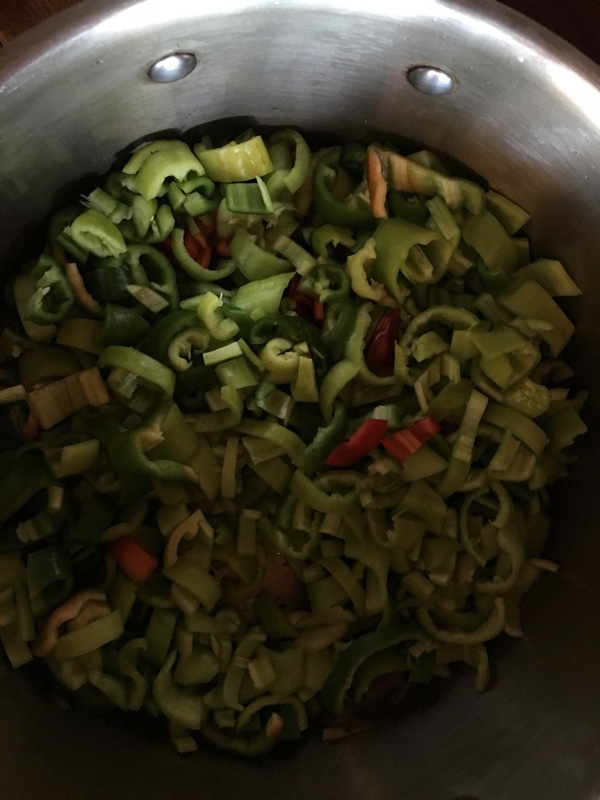 The smell fills the house. It’s one of life’s simple pleasures. Hot olive oil with onion and garlic frying. 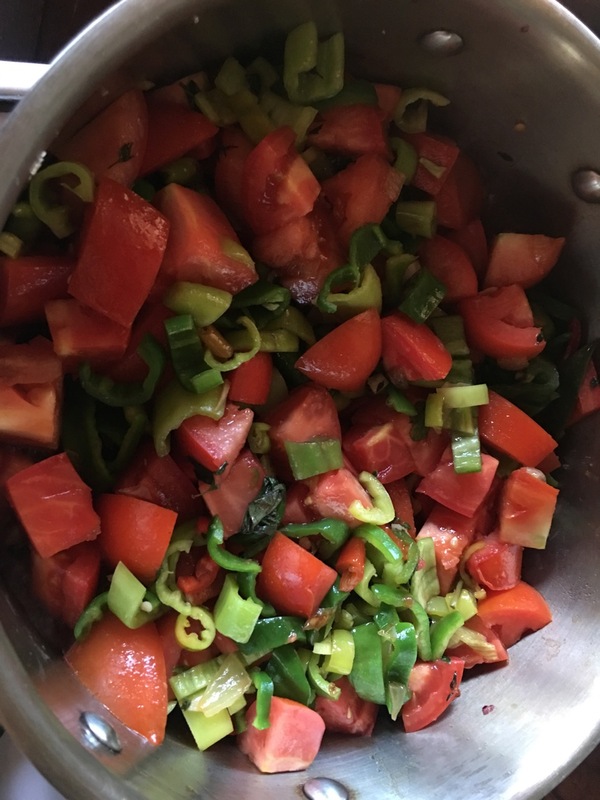 I simmer all the roughly chopped veggies down with a bottle of red wine to make a chunky style pasta sauce. 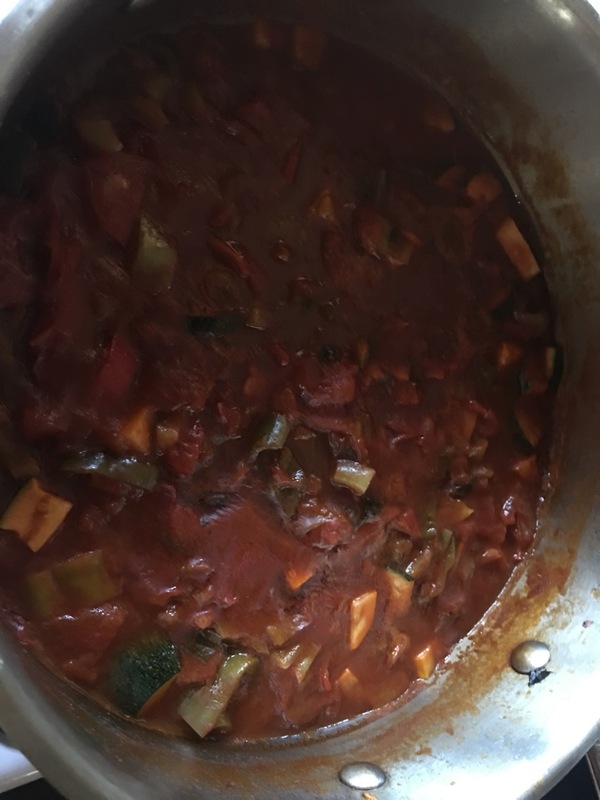 Once its been reduced well and thickened up some what. 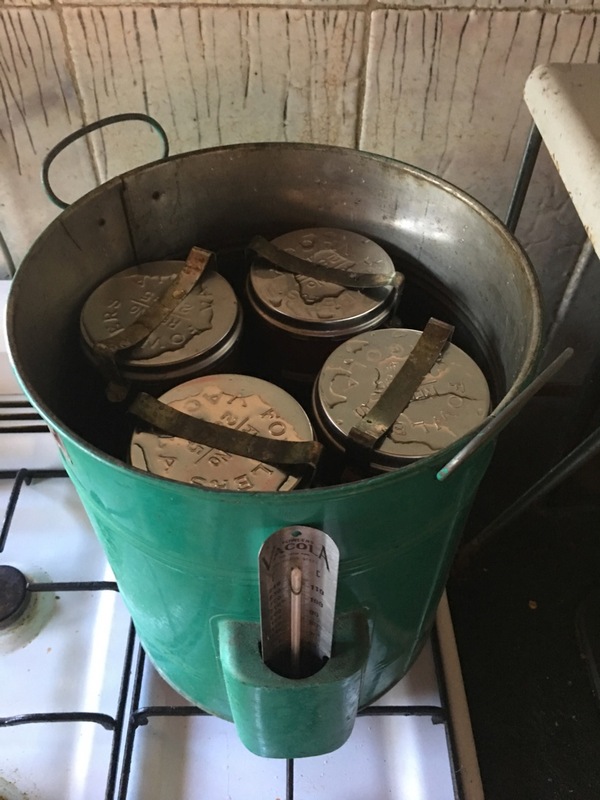 It is ladled into our 40-year-old, glass Vacola jars and lidded and clipped down to be simmered for 40 mins to be sterilised and vacuum sealed. In this way, it will keep for a year at least, if not longer, if required. 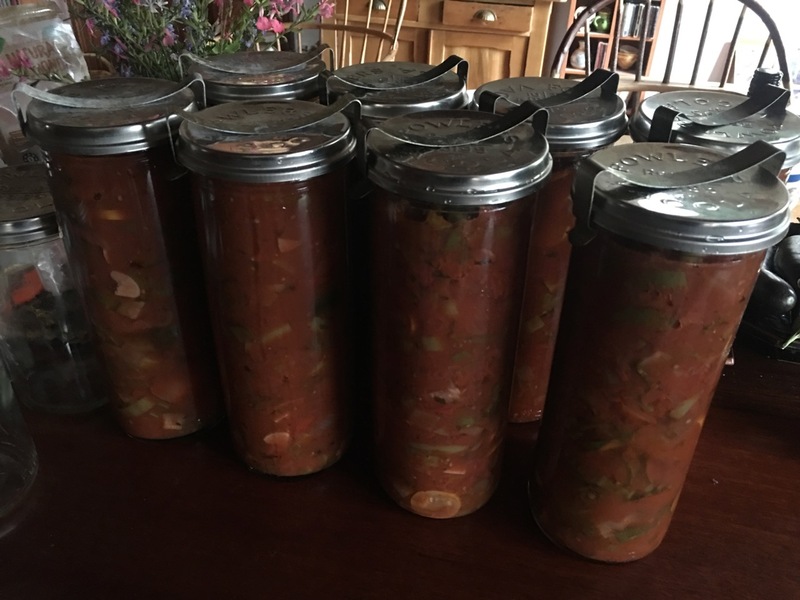 The spring clips are removed the next day after the jars have cooled over night. We test the seal to make sure that they are all perfectly vacuum sealed. Then they are transferred to the pantry cupboard. 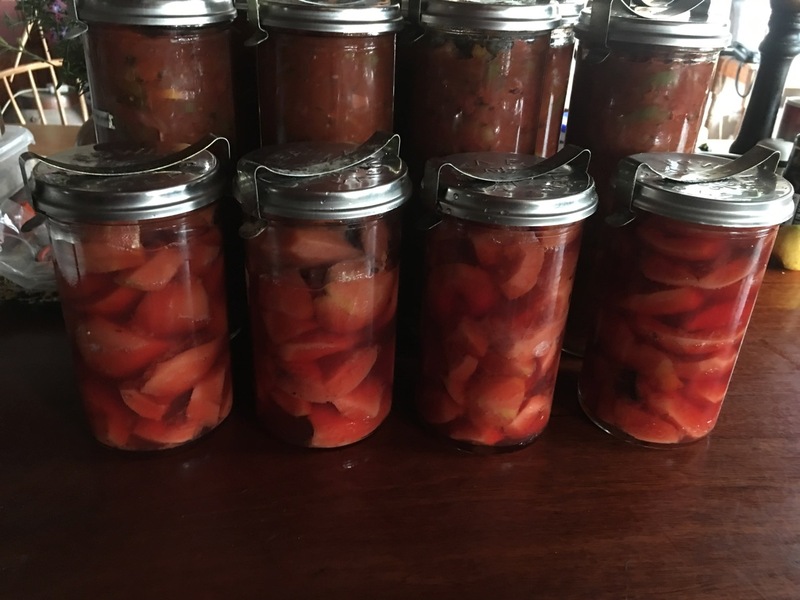 Autumn is also the time for preserving quinces. 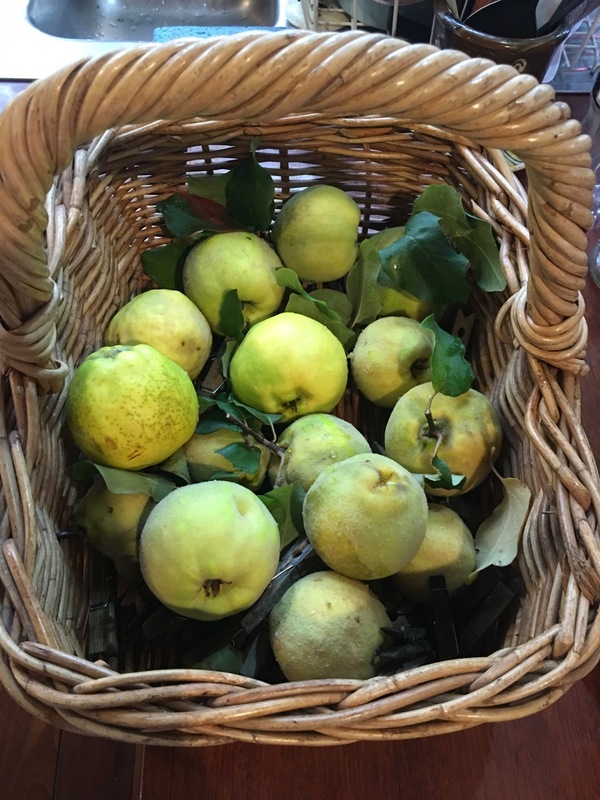 The quince crop is very small this year due to the drought, but there are a few fruit to pick. This is only because Janine was out in the garden early and netted and bagged the fruit to prevent the birds from getting them. The birds have been very aggressive this years, as I assume that the drought has driven them to hunger. We have more wallabies coming into the orchard too, looking to find extra tucker during the dry. Not to mention the influx of fruit bats or flying foxes, that have migrated up from the colony in Picton recently, possibly also driven by hunger? 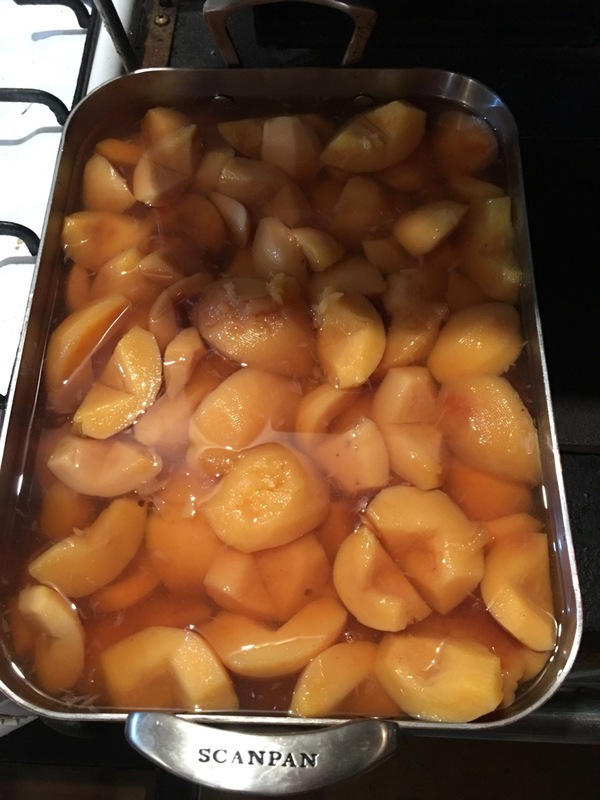 The quinces are washed to remove the ‘fluff’ coating then peeled, cored and sliced. I baked them in a light sugar syrup with some cloves, cinnamon and star anise, and after baking, they turn an inviting ruby/russet colour. We have some immediately for desert and then again for breakfast the next day. Totally yummy! 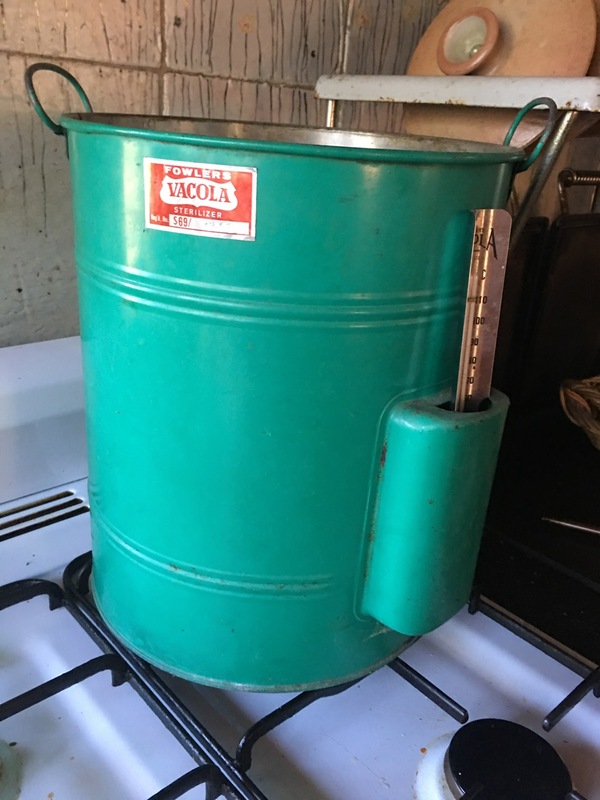 The remainder are vacuum sealed in ‘Vacola’ jars for use later in the year. 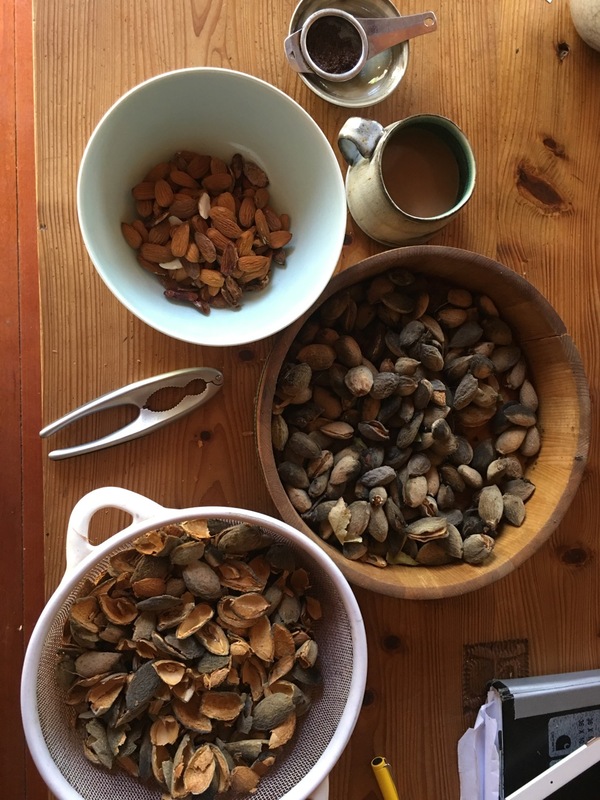 We have harvested the last two late season almond trees and spend the evening de-husking and shelling the small late crop. 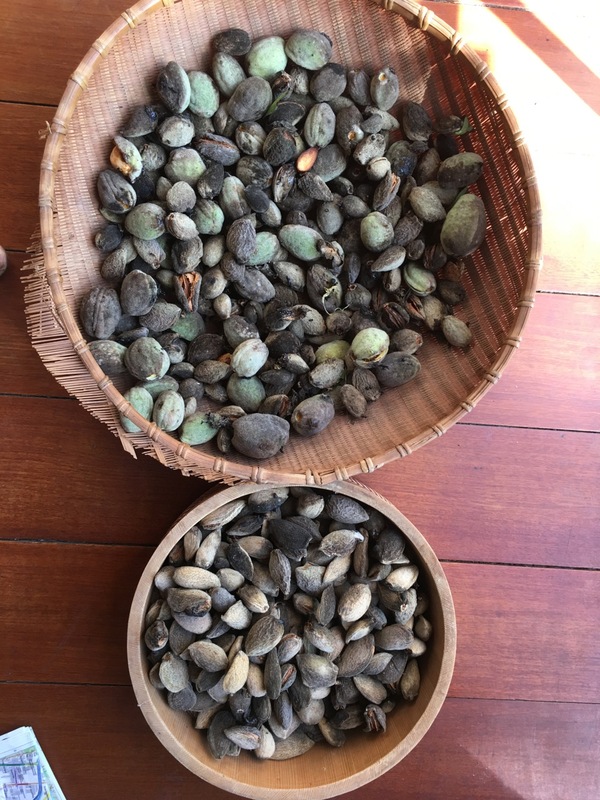 We have 14 almond trees in our nuttery. We have many different varieties, from very round and almost spherical, to very long and thin. Some are hard shell and others paper shell. Some are slightly salty tasting, while others are somewhat bitter, I suspect that this bitterness is from the naturally occurring cyanide that is found in all the almond/peach related stone fruits. What ever it is it doesn’t seem to be doing us any harm over the past 40+ years of eating them. Warm autumn wishes from Steve the nutter.